Clamp Carriers, model SRX, are the ideal clamping solution for panels, stair components, rails, posts and architectural millwork. Available SRX Clamp Carrier configurations, click here. 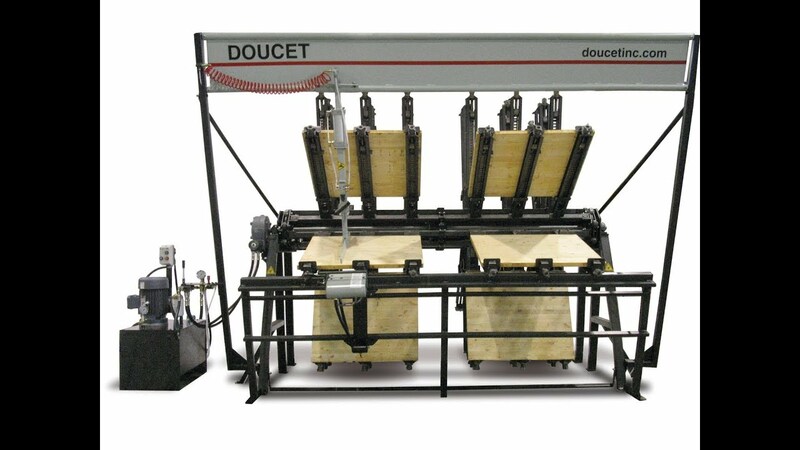 For added productivity and flexibility, Doucet SRX Clamp Carriers are available with the Robotic Operator, model RT100 the Robotic Loosener, model RL100 or the Twin Robotic Operator, model RLT100.